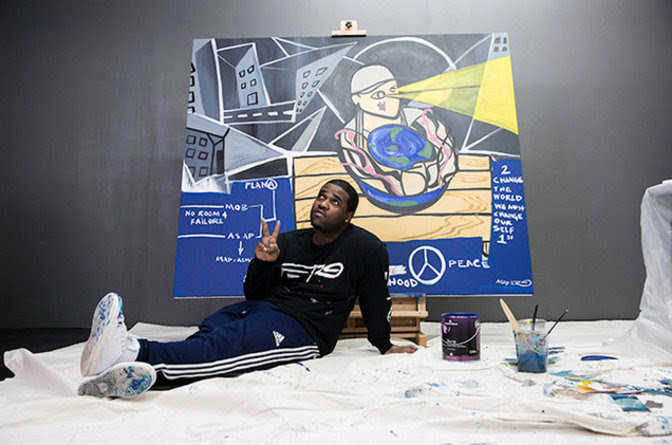 ASAP Ferg is pleased to announce that he donated a large scale oil painting that the rapper/designer/painter originally debuted during Art Basel Miami Beach 2015 to the A$AP Yams Commemorative Gala & Art Auction that will take place this weekend in New York City. 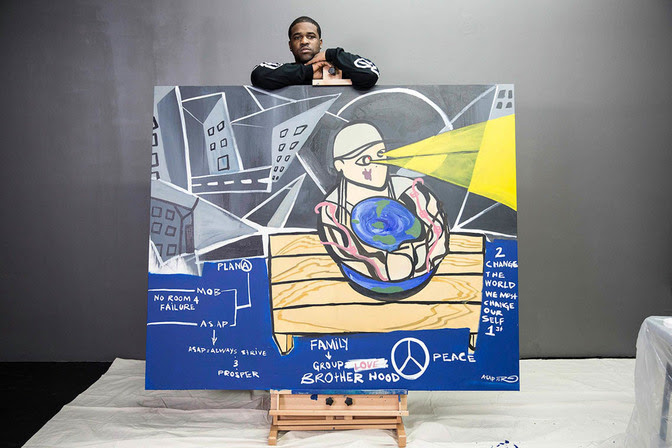 The painting—called "Tatted Angel"— is a piece that Ferg painted after Yams passed away features an angular backdrop of New York City streets, a breakdown of inspirational A$AP-oriented phrases, and of course an illustration of Yams himself, hugging a globe and shooting beams of light out of his eyes. 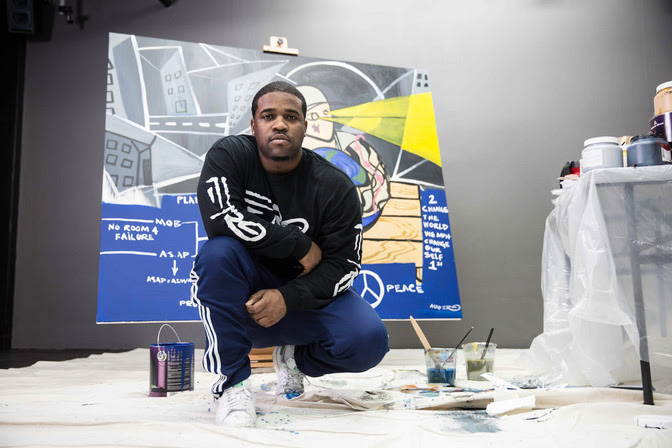 The gala, co-hosted by the ASAP Foundation (Always Strive and Prosper Foundation) and the Department of Psychology at Columbia University, was held on Saturday, March 25, 2017, in New York City to honor the legacy of Steven "A$AP Yams." Yams passed away on January 18, 2015. Proceeds from the gala and auction will be utilized to promote realistic education and awareness regarding substance use and abuse. The ultimate goal is to keep young people safe and knowledgeable by providing them with the best available information without judgement or morality. The ASAP Foundation is dedicated to disseminating useful information to alert the general public--especially youth--to the dangers of irresponsible use. Overall, the foundation aims to create an honest dialogue with the youth that avoids propaganda and places more focus on providing facts and relevant information. Proceeds from the charity event will go towards social media awareness campaigns, middle and high school seminars with recording and multi-media artists and professionals, as well as alternative arts programs focused on honing talents and discovery excursion in New York City.